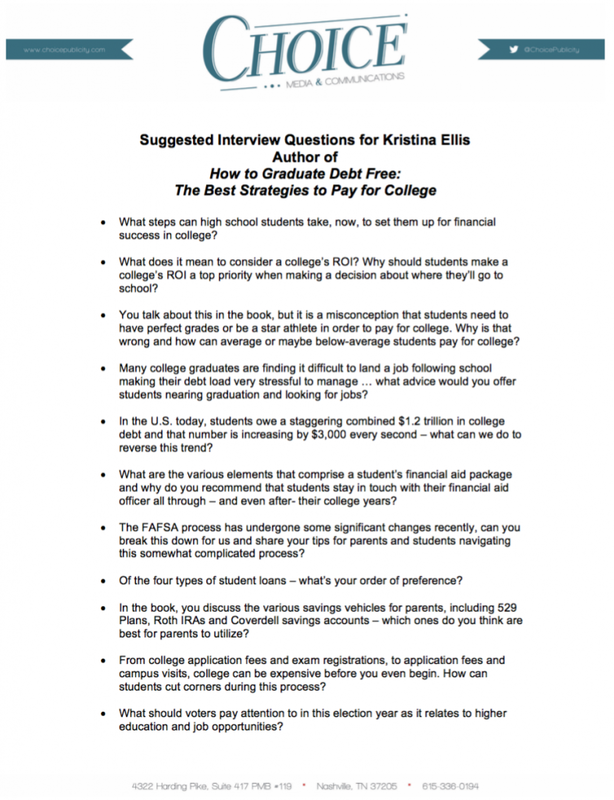 Kristina Ellis is a national scholar, financial expert, and bestselling author of Confessions of a Scholarship Winner. 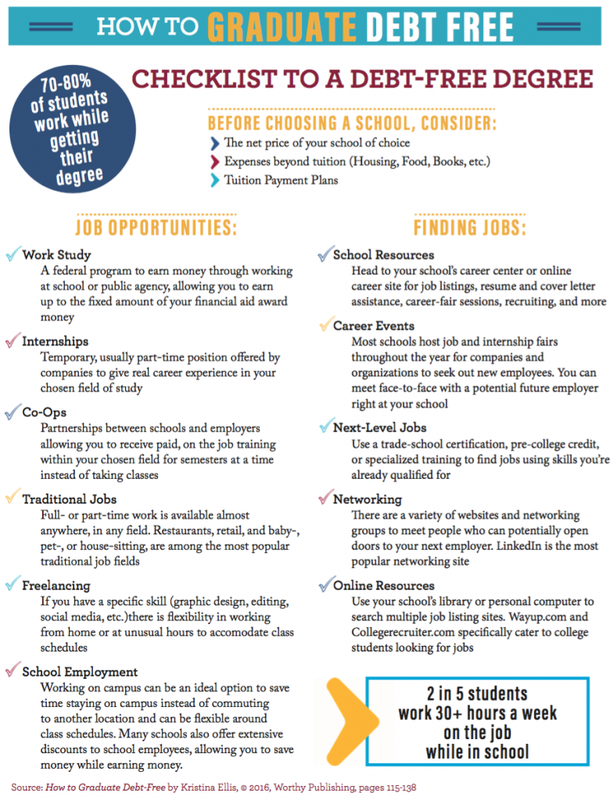 As a high school student years ago, Kristina masterfully devised a plan that enabled her to graduate from the prestigious Vanderbilt University and receive a master’s degree from Belmont University . 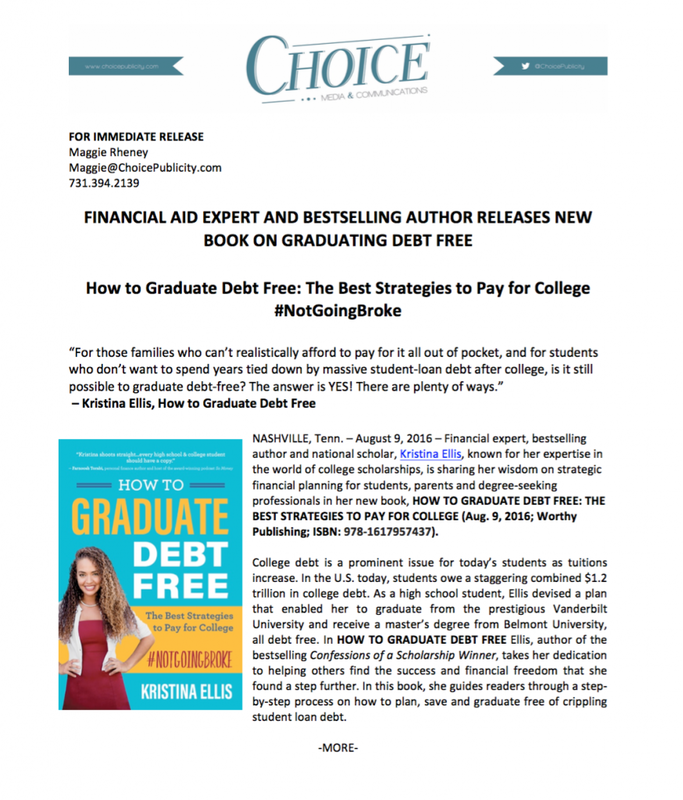 . . all debt-free! Her list of accolades are many and varied including recognition as a Coca-Cola National Scholar, a Gates Millennium Scholar and a U.S. Presidential Freedom Scholar. 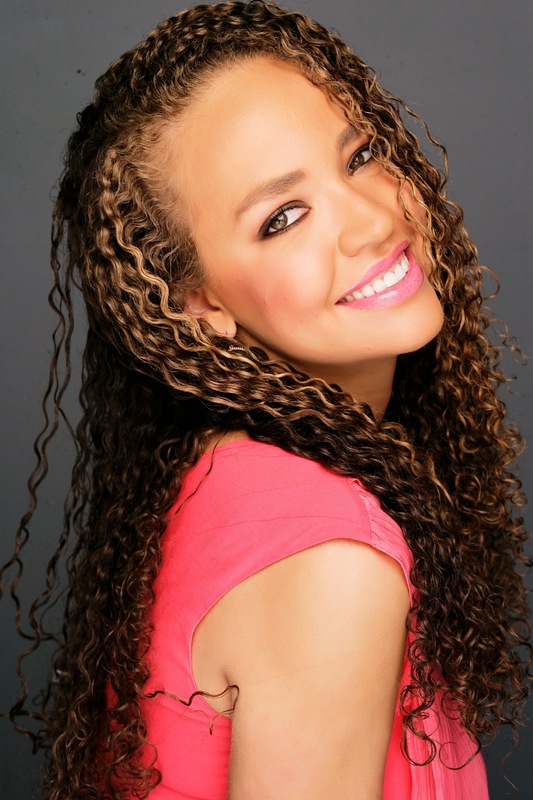 Additionally, she was crowned Miss Indiana Teen USA 2005 and won two Gold Medals in the Junior Olympics for gymnastics. 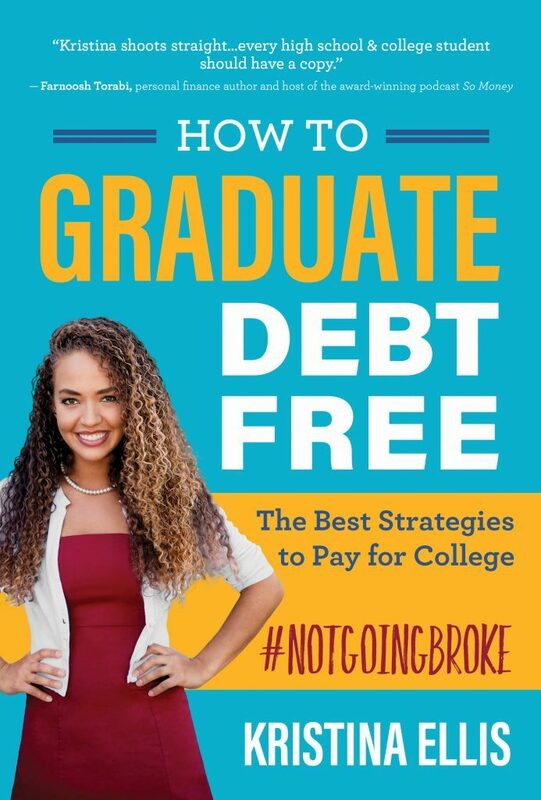 She has served as a scholarship and financial aid expert for Seventeen magazine, Justine magazine and Fox News Channel, and she has been featured on ABC Family, CBN, “Katie” and “The 700 Club,” and in Business Insider, New York Post, Your Money and others. 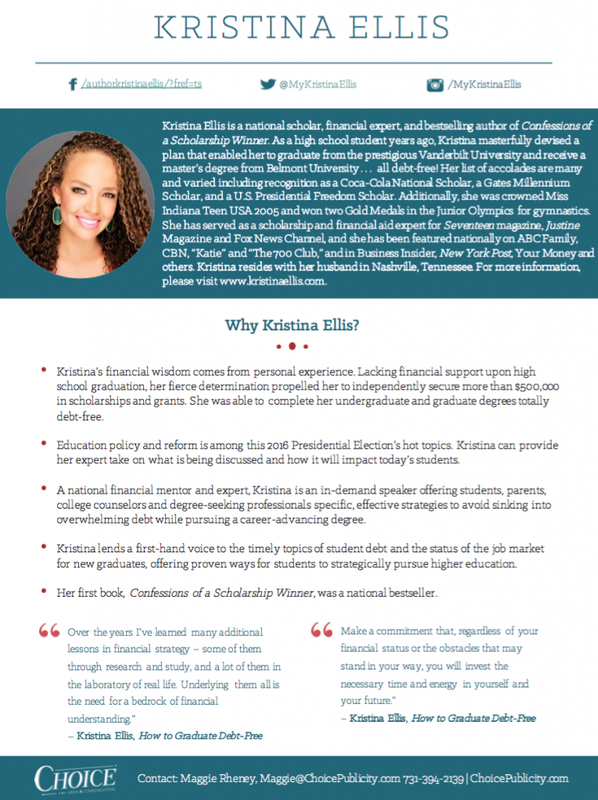 Kristina resides with her husband in Nashville, Tennessee. 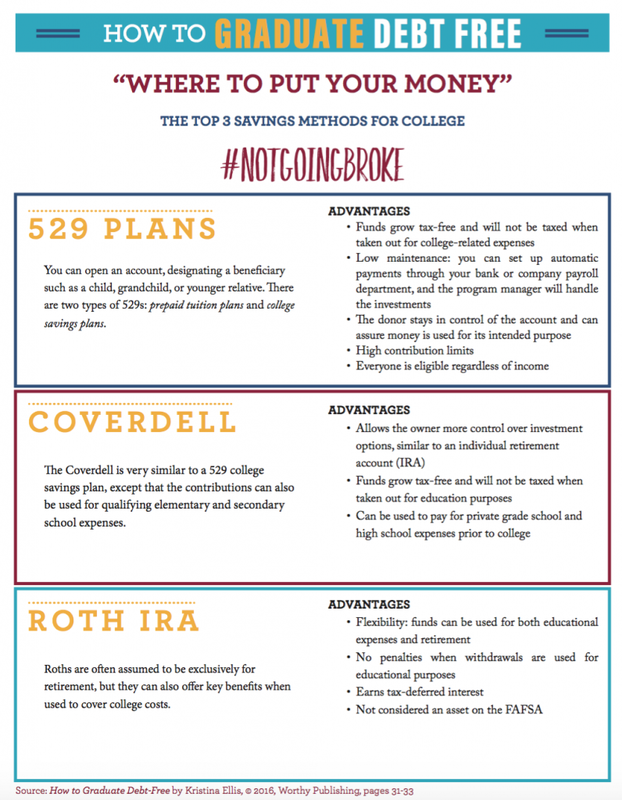 Woman Graduates From Belmont, Vanderbilt Debt-Free - But How?